So here we are at Week #14 of my digital series. 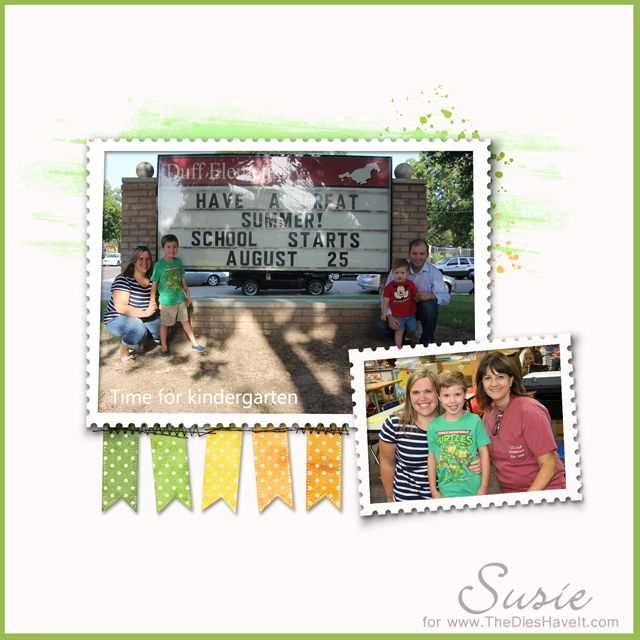 Today's layout features the day we all went to meet Caleb's kindergarten teacher. He was very nervous about it. I am happy to report that Caleb loves school and is doing great. But those first few days were a bit trying for both Caleb and his mom. He is so lucky to have a wonderful kindergarten teacher and we are so happy that he loves school! I am glad you survived Christmas. Onward toward the new year now!